DMK patriarch M Karunanidhi passes away at 94: Former Tamil Nadu CM and DMK patriarch M Karunanidhi passed away after battling illness at the Kauvery hospital in Chennai on Tuesday. The 94-year-old leader was earlier shifted to the hospital on the intervening night of July 27-28 after his blood pressure fell. 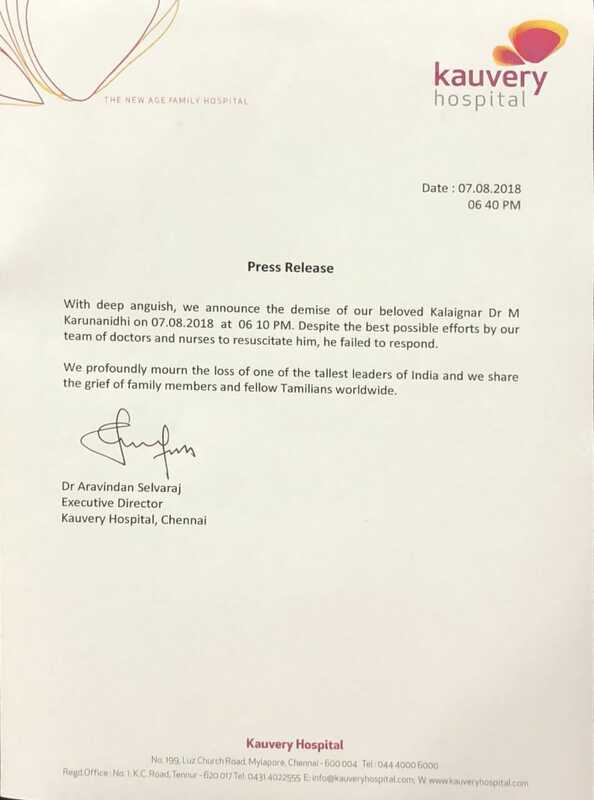 On July 31, the hospital said Karunanidhi would require an extended period of hospitalisation due to “decline” in his general health, although his vital parameters have normalised. But Annadurai remained chief minister only for a year as he died in February 1969 after bringing the Congress rule in the state to an end in 1967. Karunanidhi, who succeeded Annadurai and pipped senior rivals to the post, took over the leadership of the party on 26 July, 1969. 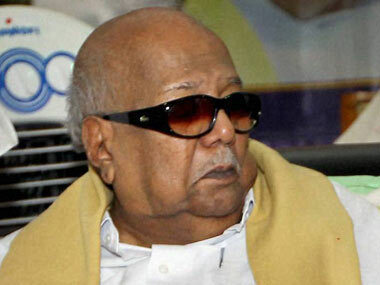 And Karunanidhi’s health turned critical as his leadership of the party entered the 50th year. 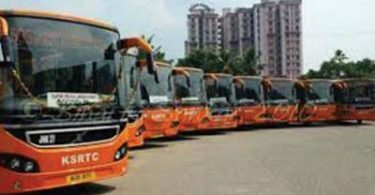 The DMK enjoyed power at the Centre from 1999 to 2004 when Karunanidhi pulled out his party to go with Sonia as part of the UPA, which ruled for ten years from 2004. Such was his clout with Sonia that he refused to share power with the Congress at the state level, though he led a minority government from 2006 to 2011. 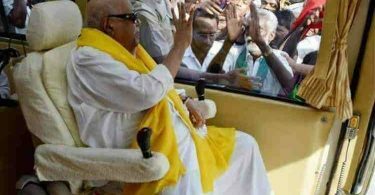 Politics apart, Karunanidhi was credited with social reforms he brought about such as reservation for the Other Backward Classes, equal share in property for women and enactment of a law to make men from all castes priests in Hindu temples. In the ultimate analysis, Karunanidhi was the kind of man you could hate or love, but could not ignore.